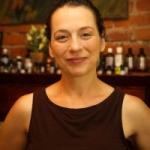 I am a Registered Massage Therapist with over 14 years of extensive experience in manual therapy. I am also a Certified Reflexologist and have taken many other courses to augment my skills under the umbrella of Massage Therapy. These include aromatherapy, thai massage, acupressure, indian scalp massage, trigger point therapy, shiatsu massage, deep tissue work and pregnancy massage. I specialize in a variety of treatments, however the ones I use most are joint mobilization, trigger point release and deep tissue work. I have been practicing these techniques for over a decade and have developed some of my own unique approaches to them.